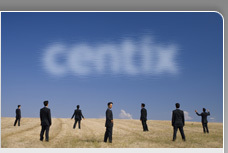 Centix is an independent trusted advisor in the business ICT virtualization and centralization. In this particular area of expertise, we rely on our strategic partnerships with selected companies. Centix is as a specialized consultant the ideal partner for system integrators who need to provide virtualization services to their customers as part of a larger services offering. Several of the larger system integrators in Belgium make already use of our services specifically on the Citrix, VMware or RES Software products. If you are a System Integrator whishing to discuss a collaboration, feel free to contact us.